The bone caves of north Wales have received increased attention from archaeologists in recent years. Excavations have taken place at Llanarmon Cave (Llanarmon-yn-ial) and Ffynnon Bueno Cave (Tremeirchion) by Rob Dinnis, then of the British Museum, and his team. 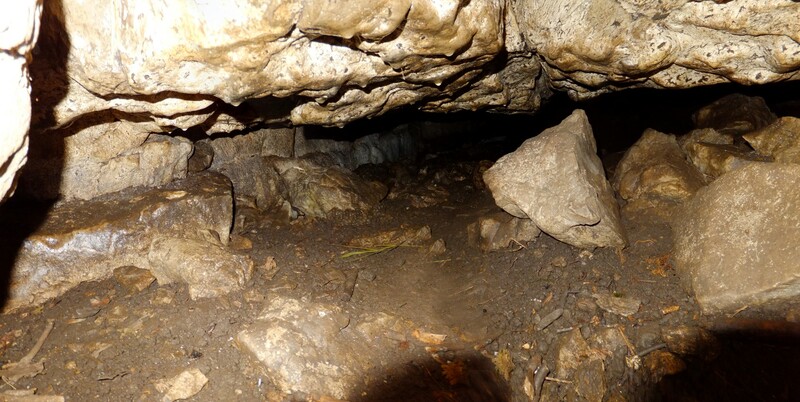 John Blore issued his final report on his fifty years work at Lynx Cave (near Eryrys), and a new rock shelter by the name of Snail Cave (Great Orme) has revealed several worked flints, a pierced shell bead and evidence of occupation deposits. Several specialists were involved at Snail Cave, with input from the National Museum of Wales. Research into Kendrick’s Caves (Great Orme) have also resulted in a definitive report on the cave (forthcoming). Part of this work involved installing a steel grille over the two entrances of Upper Kendrick’s Cave, where the remaining deposits were being damaged by human habitation. In 2009, Clwyd Powys Archaeological Trust (CPAT) began to assess the cave stock in order to evaluate their suitability for scheduling by Cadw, as a means of protection. But the resulting ‘Report 980’ was poor and failed in most of its objectives. This, however, was followed in 2015 with a similar, but somewhat improved ‘Report 1313’; this time with input from one or two local cavers. The report identified fourteen caves that were considered to hold archaeological, or potentially archaeological, deposits. Caerwys Cave No. 3. Photo courtesy of Cris Ebbs. Broadening CPATs original aim, four of the fourteen caves were then selected for closer examination. 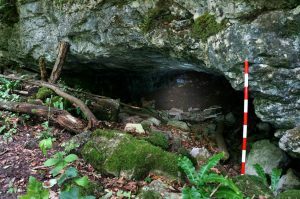 This field-work resulted in a third ‘Report 1380’ in 2016 which describes the test excavations carried out at two known archaeological caves, and two caves with no known archaeology. Although no major finds were uncovered, the work confirms that caves with no known archaeology are a largely untapped resource: Work outside the entrance to Eryrys Hill Cave produced a flint, and work at Caerwys Cave No 3 produced a human molar found in a layer containing charcoal carbon-dated to 4498 +/-29BP. Work at the known archaeological site (one of a group of five Boyd Dawkins caves), of Rhos Ddigre Cave (Llandegla), suggest that the current caves protected by scheduling are incorrect. 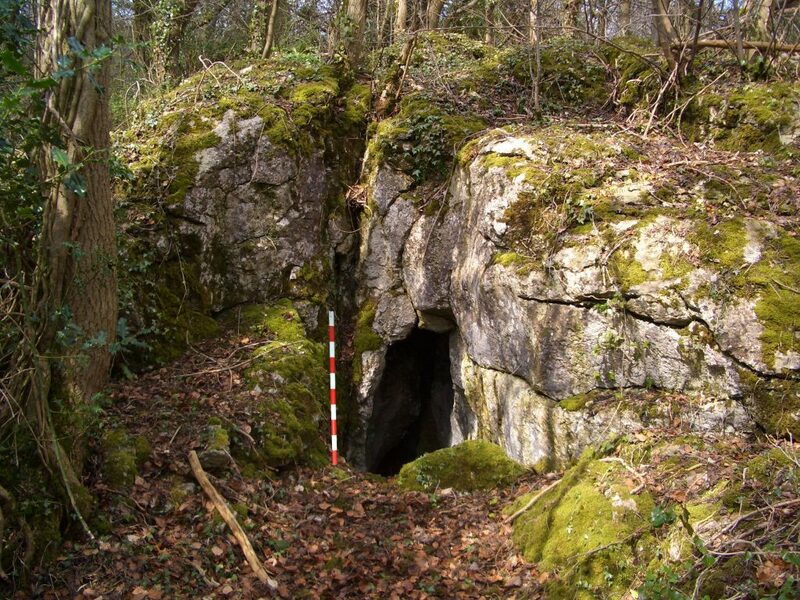 Work at the known archaeological site of Ogof Colomendy (Loggerheads) found quantities of human and animal remains. The human remains were radio-carbon dated to 4408 +/-33BP, at last confirming the original excavator Mel Davies’s 1976 conclusions. It is understood that further field work is now being carried out by CPAT. After forty years of little interest, it is most encouraging to see that north Wales is receiving renewed attention from archaeologists. With many caves deposits remaining un-assessed, and en situ deposits existing in known archaeological caves, the area’s future is promising. 2009. ‘Caves – The Scheduling Enhancement Programme’ CPAT report No 980. 2015. ‘Caves of North-East Wales – Archaeological Assessment 2014-15’ CPAT report No 1313. 2016. ‘Caves of North-East Wales – Archaeological Assessment 2015-16’ CPAT report No 1380. 2011: Last Neanderthals, First Humans: Excavations at Ffynnon Bueno Cave by Chantel Coneller and Rob Dinnis.